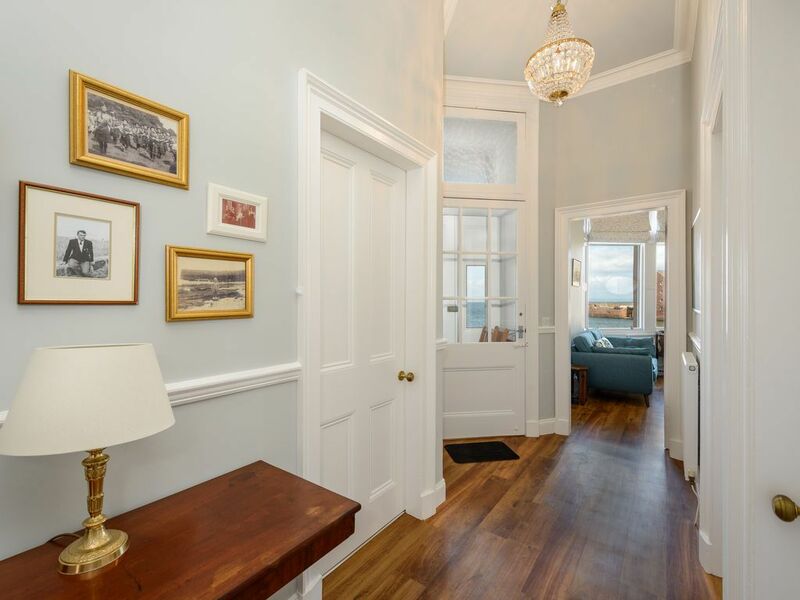 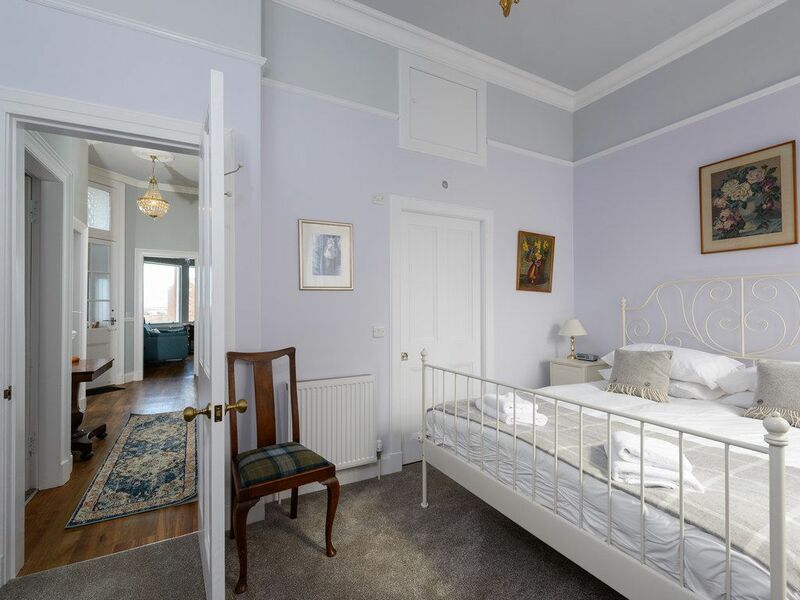 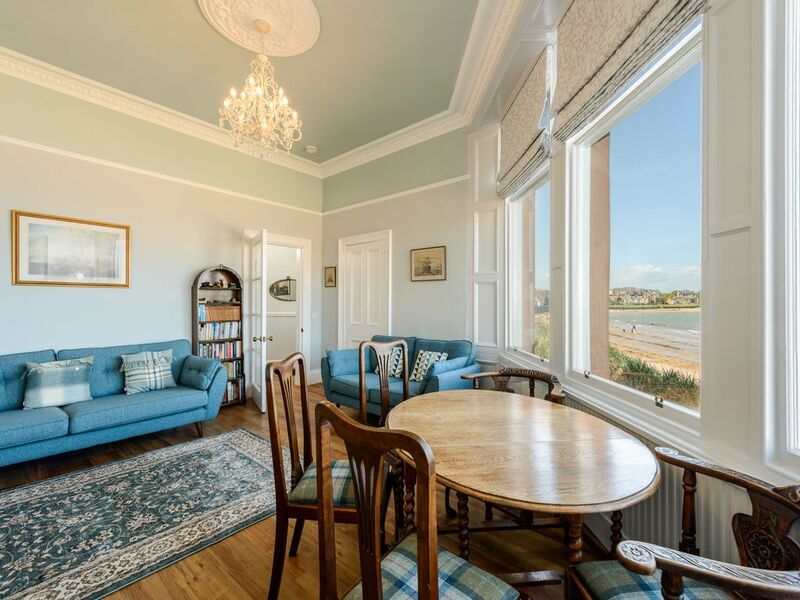 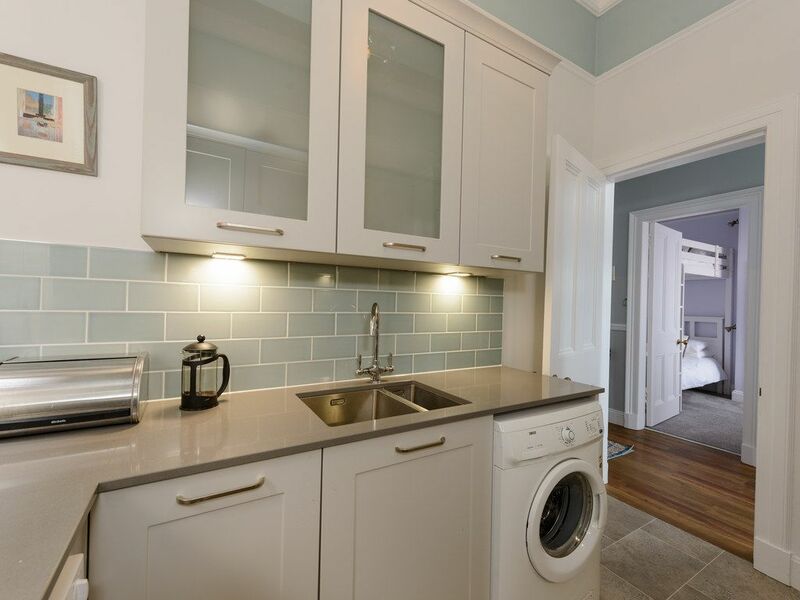 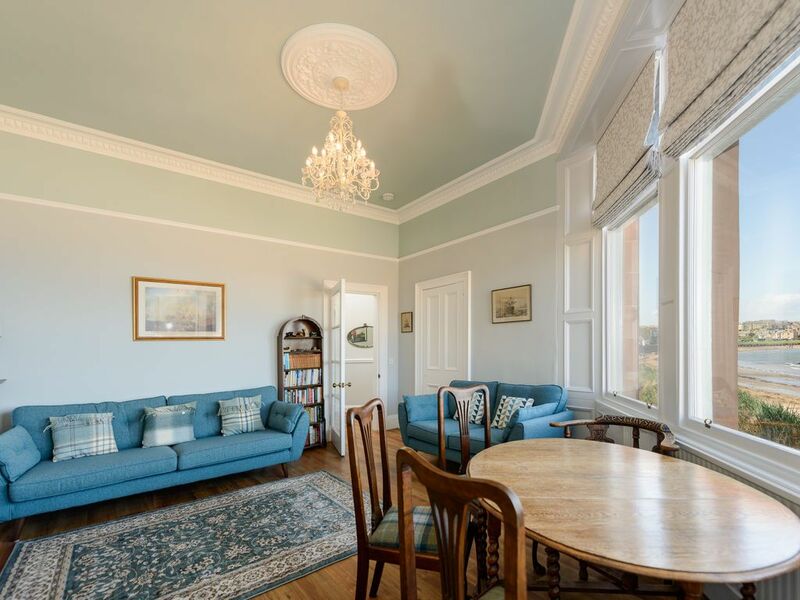 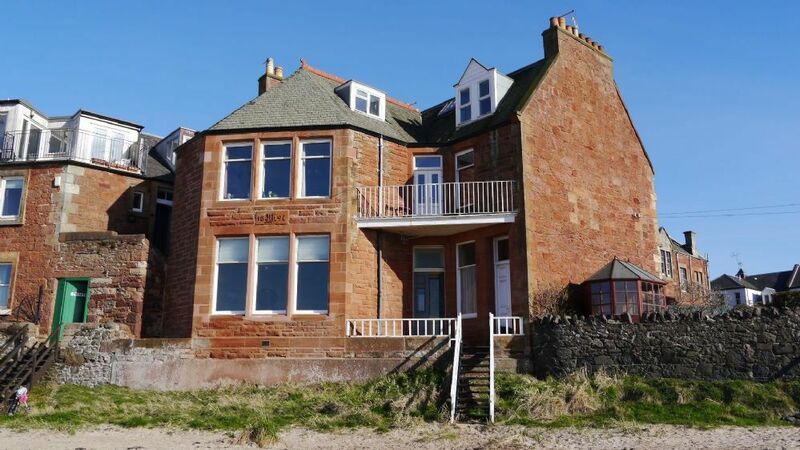 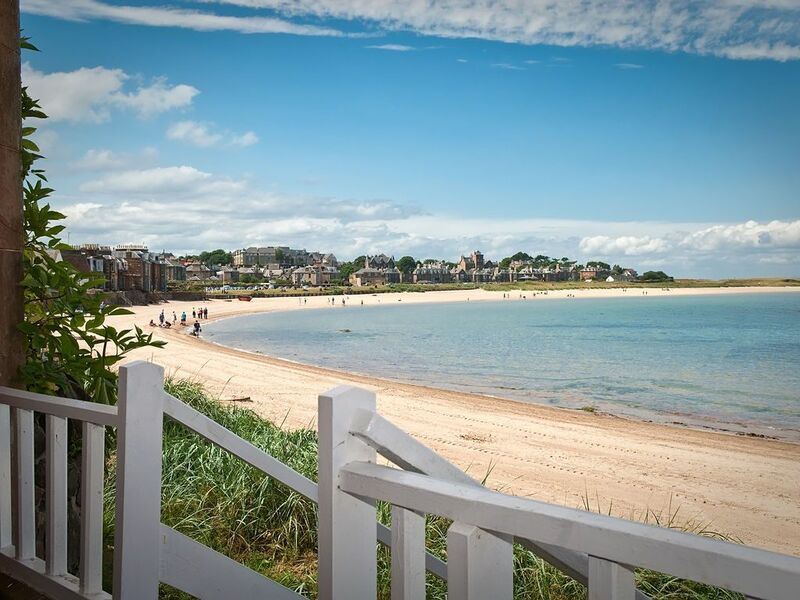 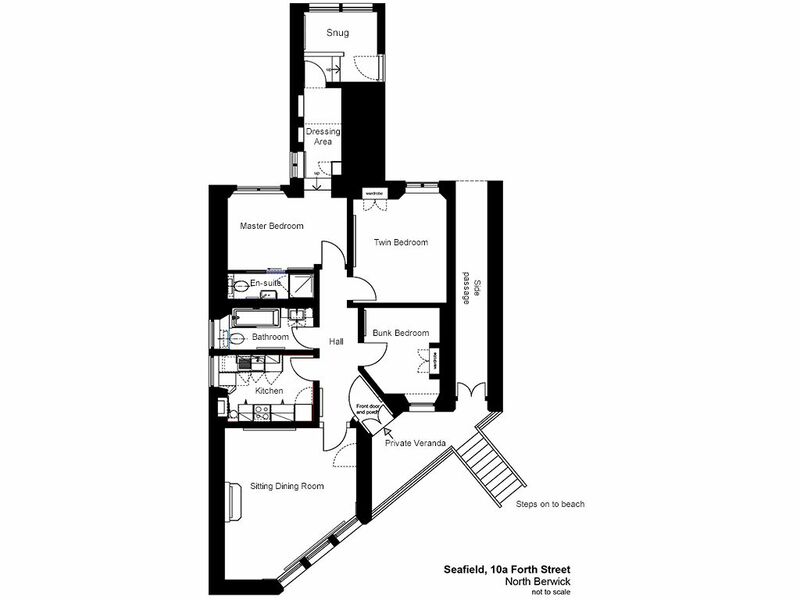 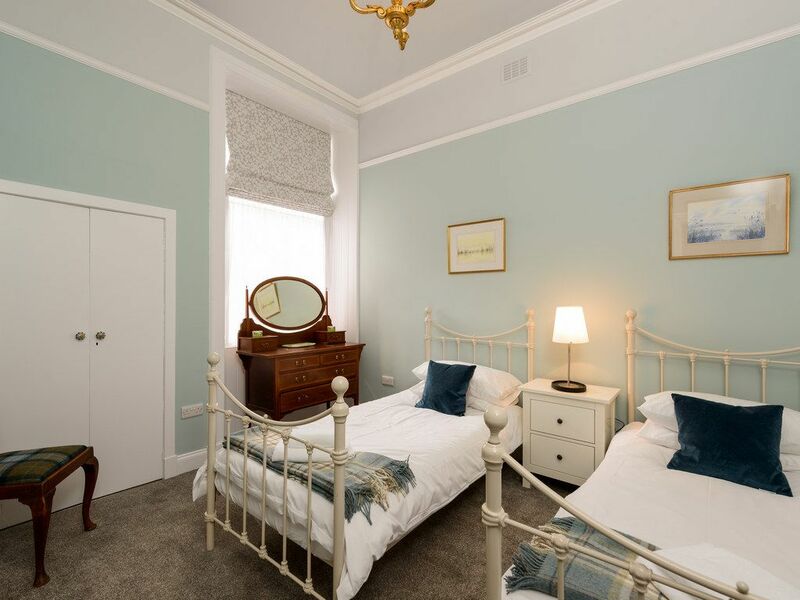 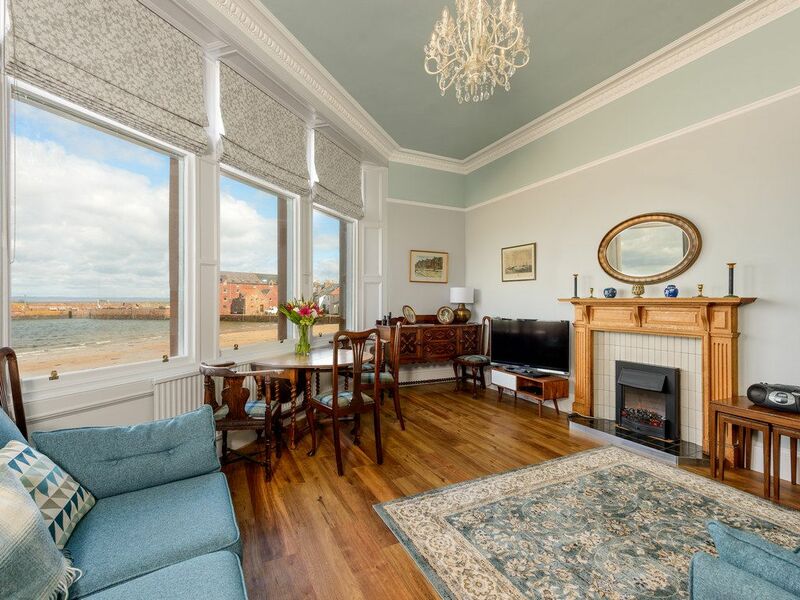 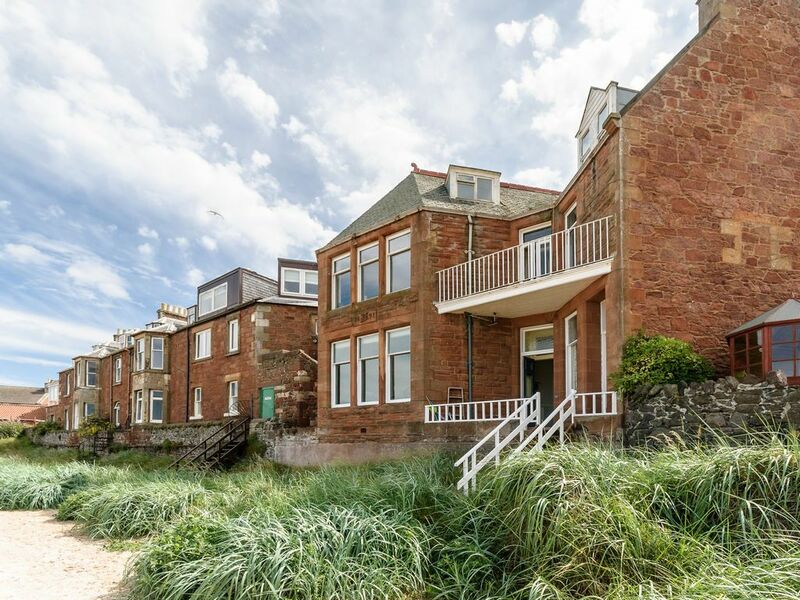 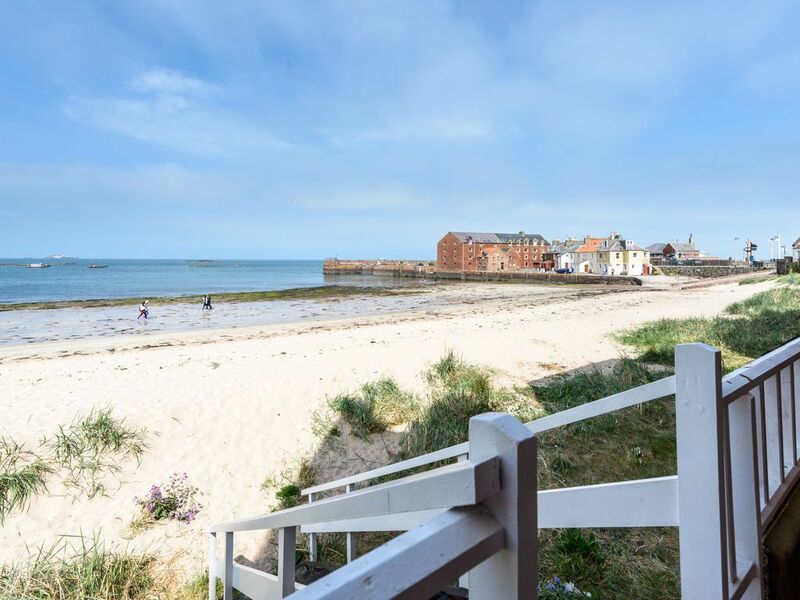 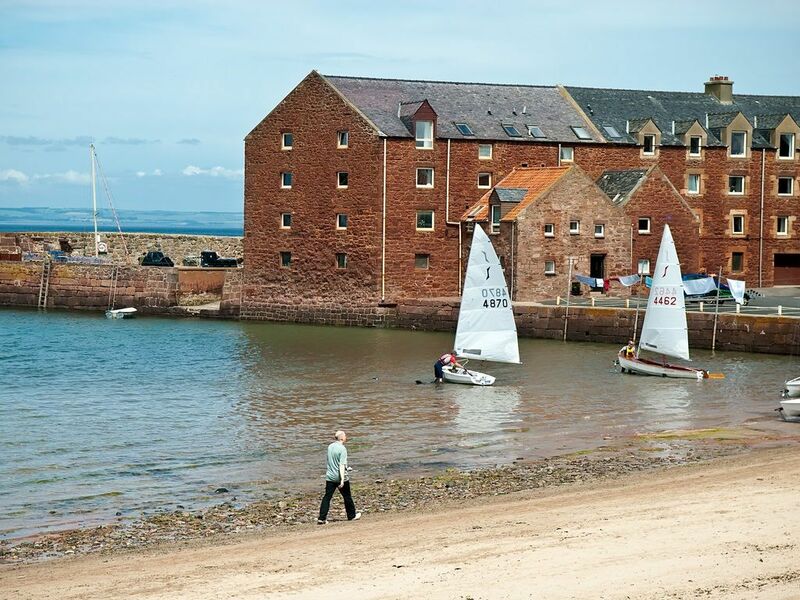 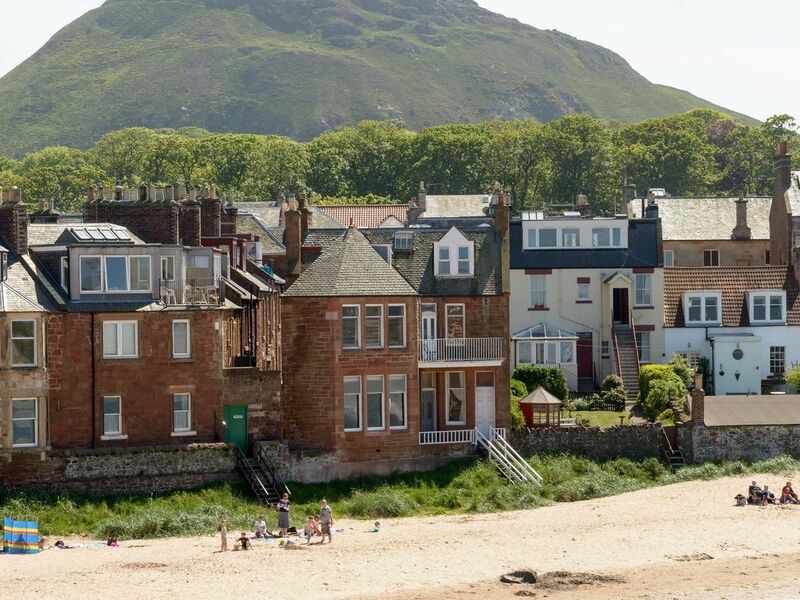 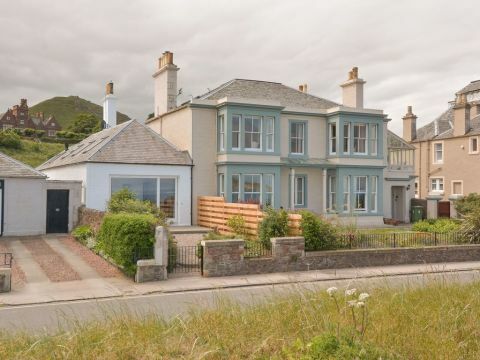 Seafield is a beautiful ground floor apartment situated on North Berwick's West Bay Beach. 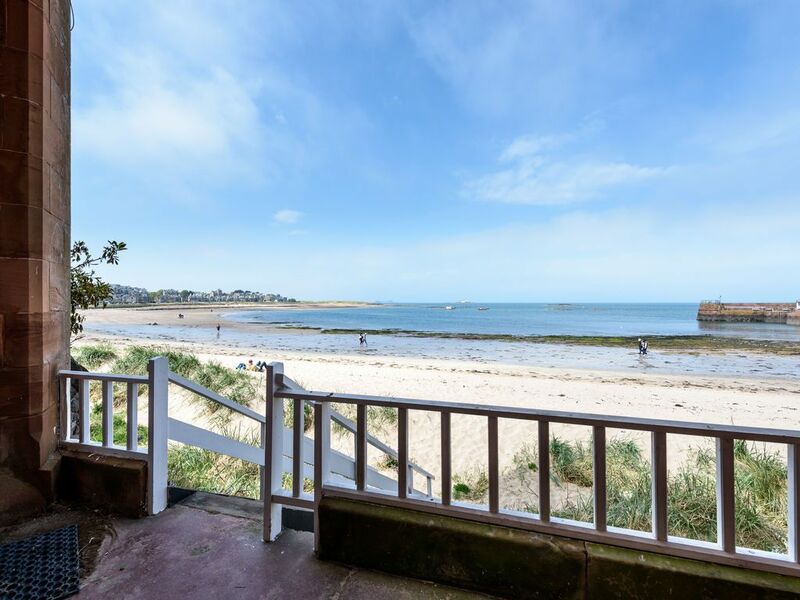 The property has direct access to the beach via the front door and veranda. 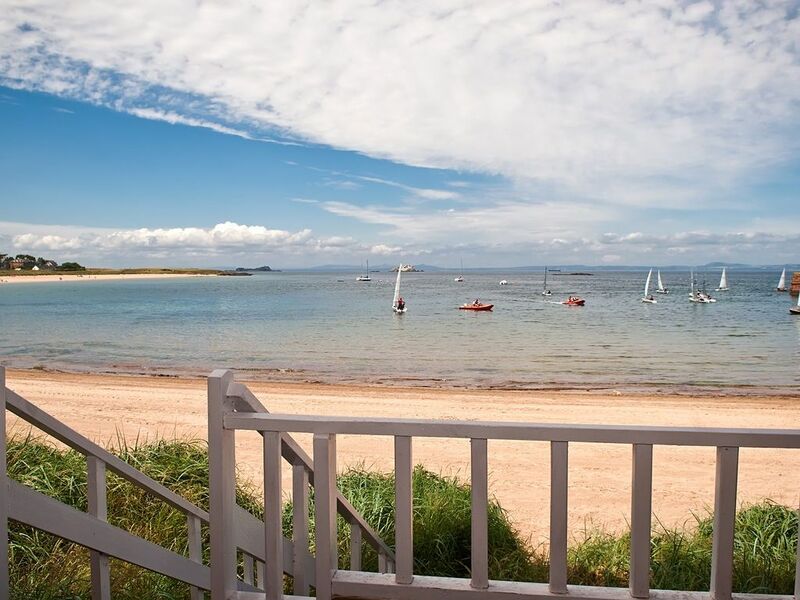 Just a few steps down from the veranda and you are right on the beach. 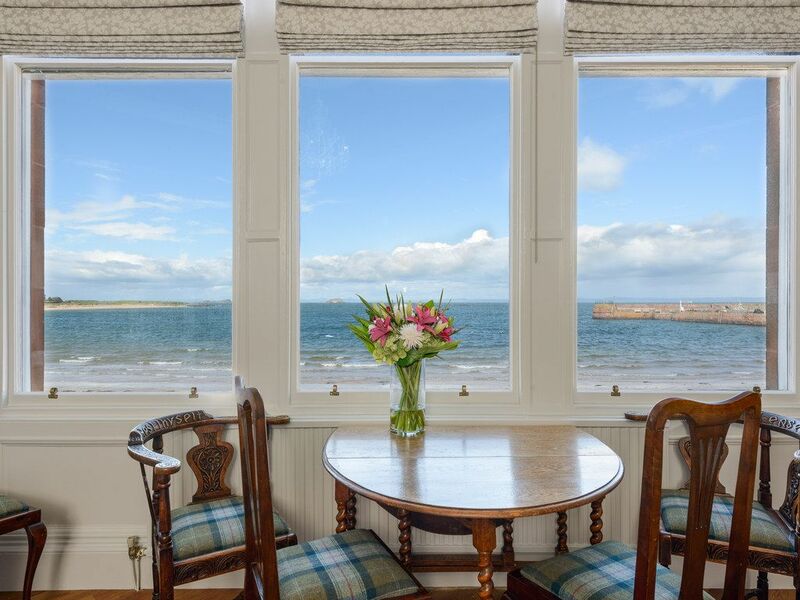 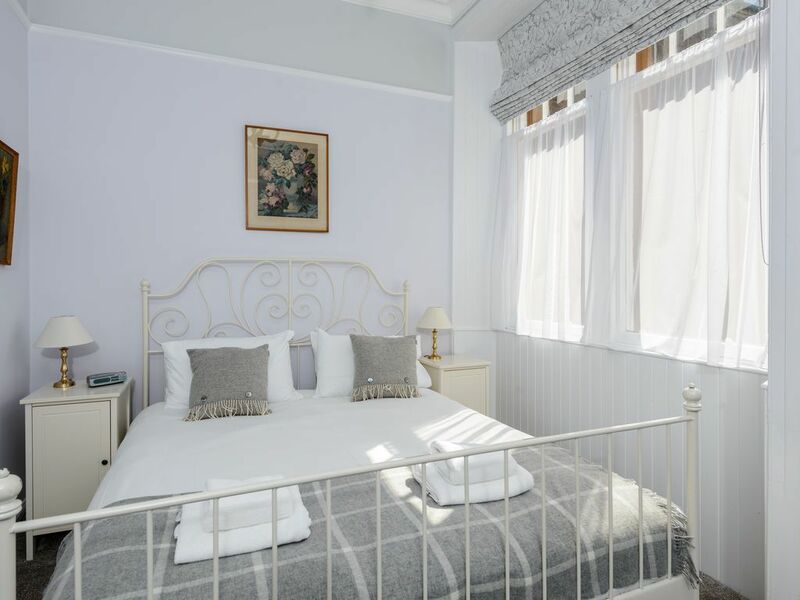 The uninterrupted views of the coast are truly magnificent through the tall windows in the lounge, the bunk bedroom and the porch to the veranda. 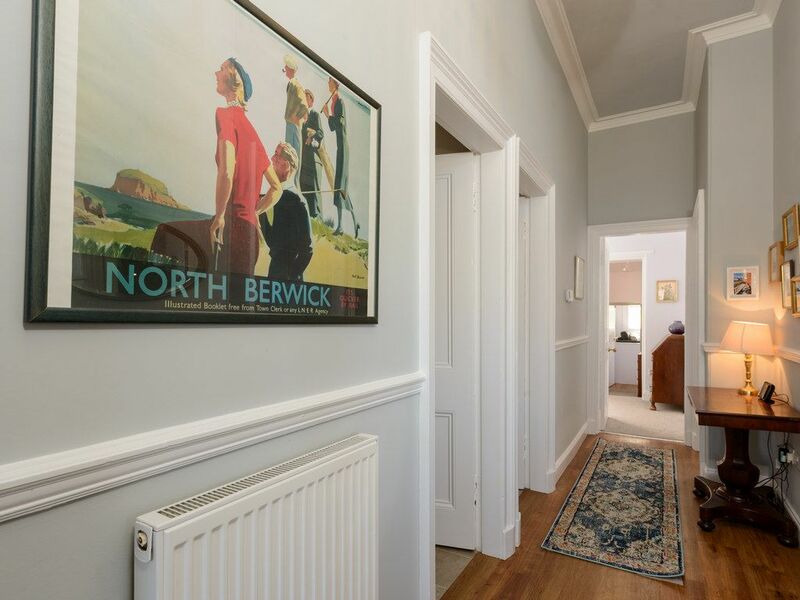 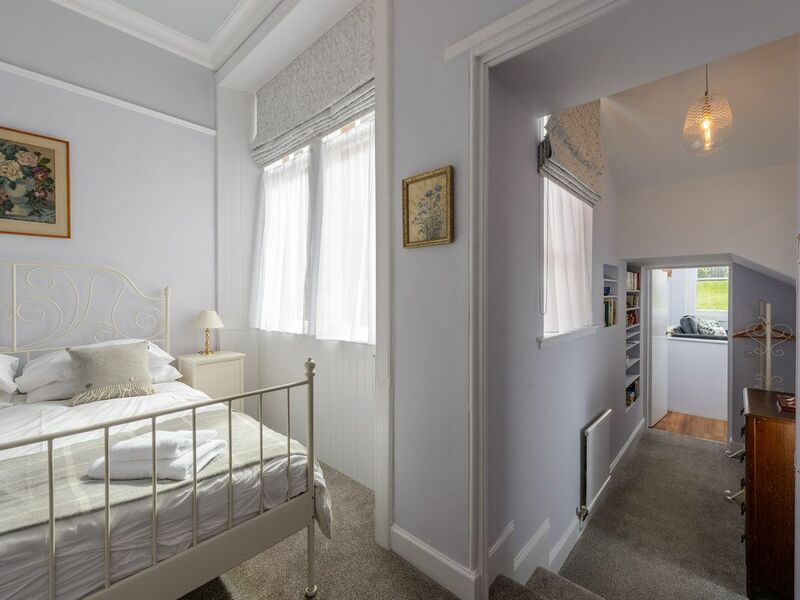 This is a wonderful traditional Victorian house which aims to be family-friendly. 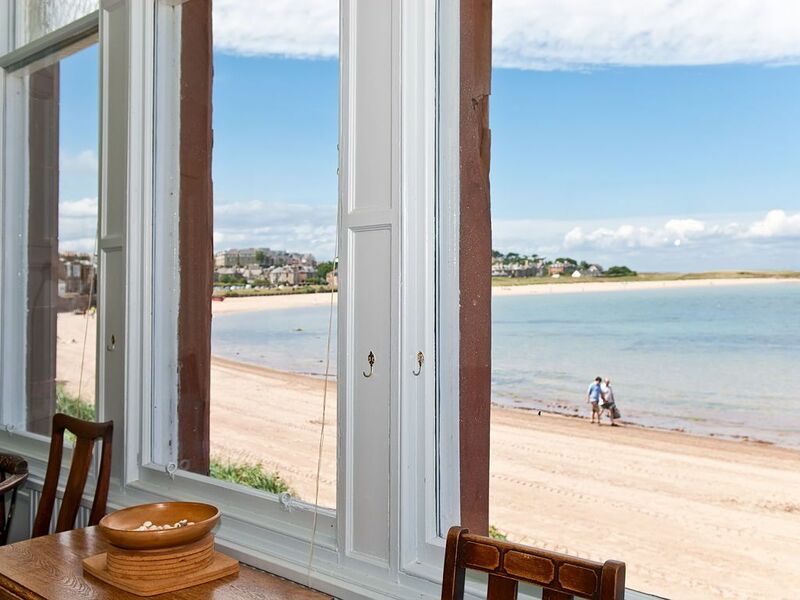 The access to the beach is second to none and is perfect for running in and out while the adults supervise from the veranda. 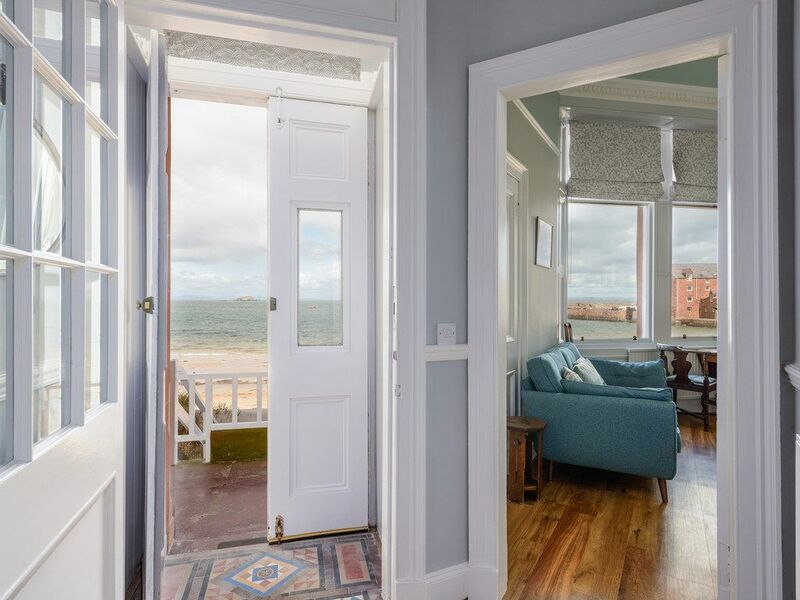 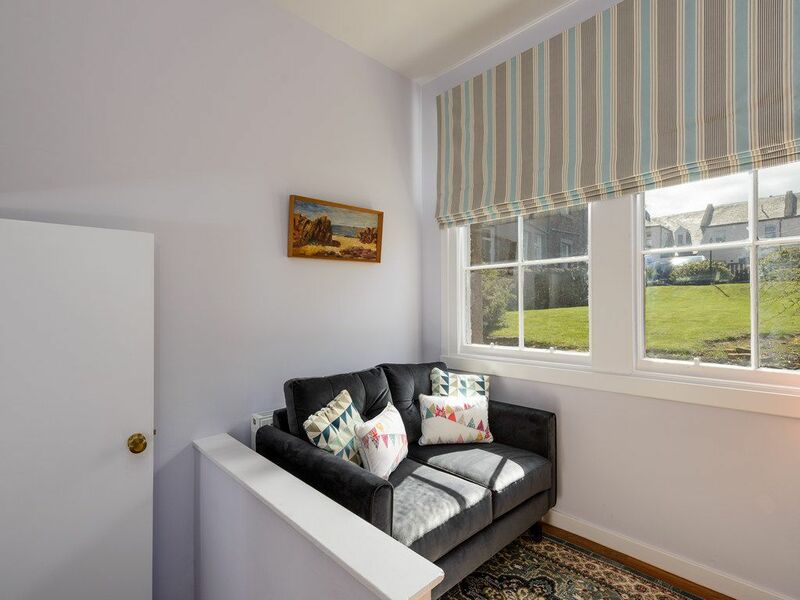 Seafield is traditionally furnished and decorated with a lovely palette of relaxing colours with wool throws and tweed accessories making it the perfect beach house where you can relax about your surroundings. 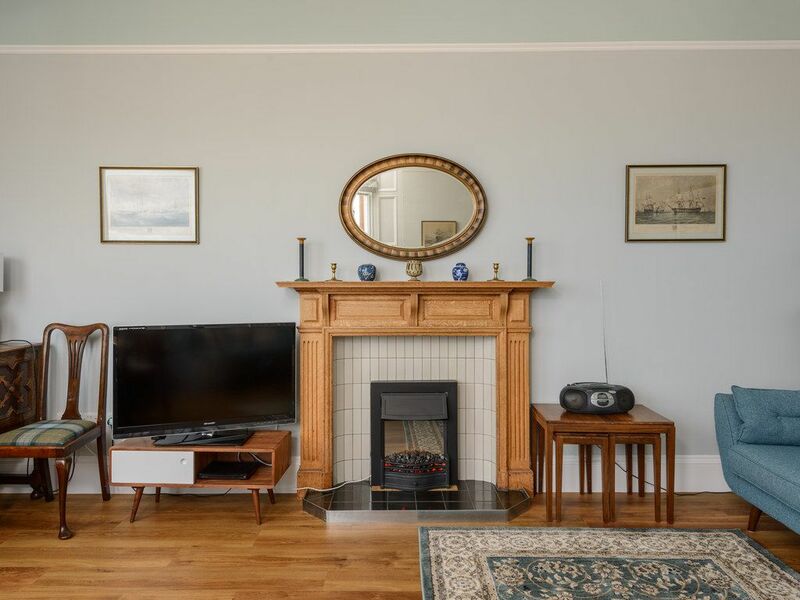 It has full central heating and an electric fireplace in the sitting room, making it comfortable all year round, whatever the weather brings! 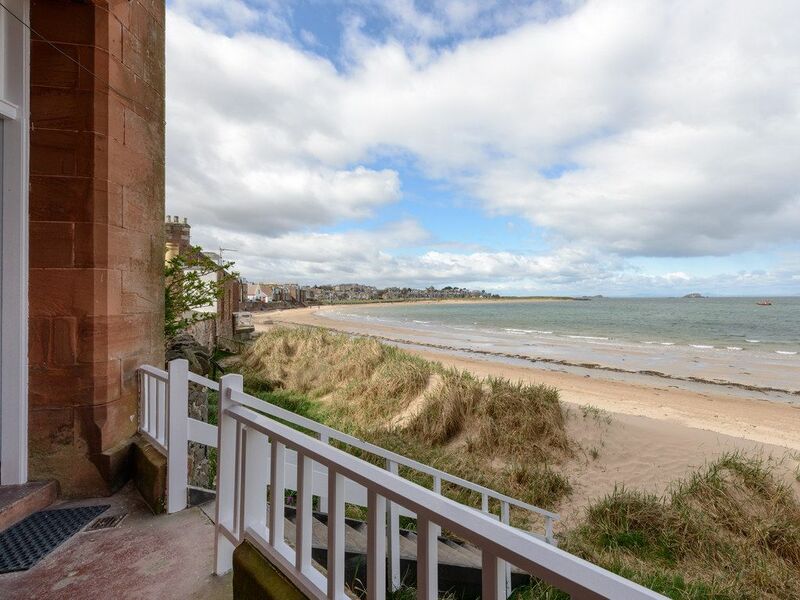 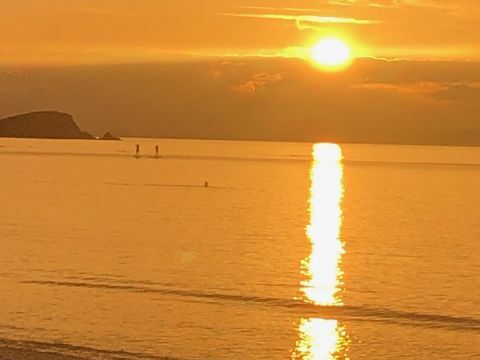 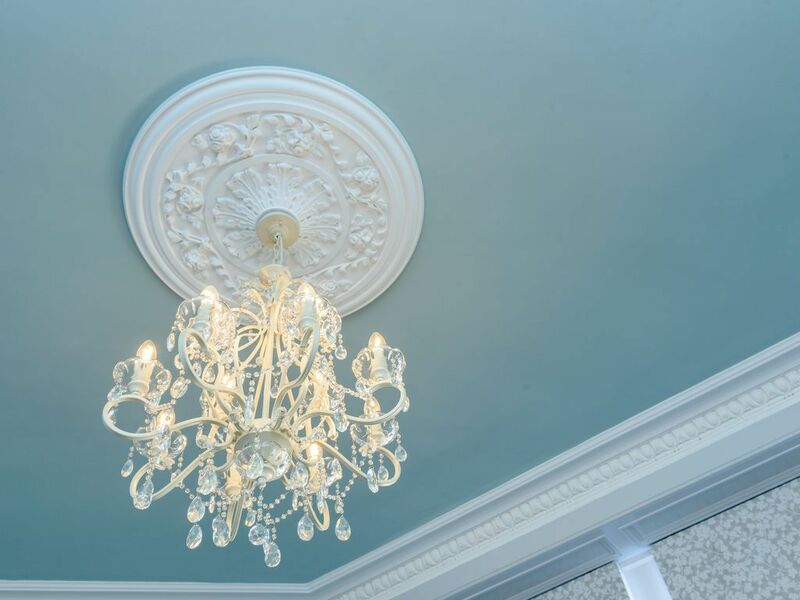 Seafield is in easy walking reach of the town's two golf courses, the award-winning Seabird Centre and the High Street with all the shops & restaurants. 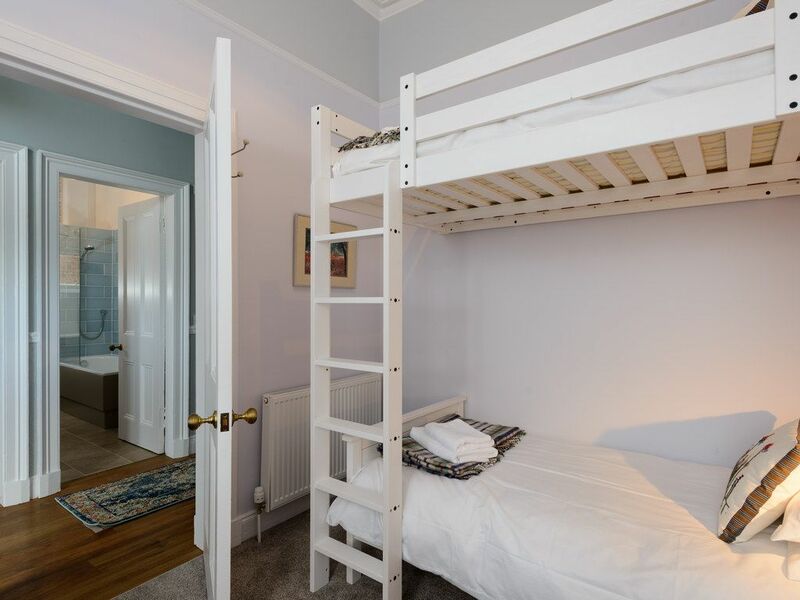 Sleeping accommodation consists of master suite with a double bedroom, ensuite shower room and snug sitting area (with a second TV, DVD player and games), a twin bedroom and a bunk bedroom which has marvellous sea views (note – the top bunk is high and therefore not suitable for very young children). 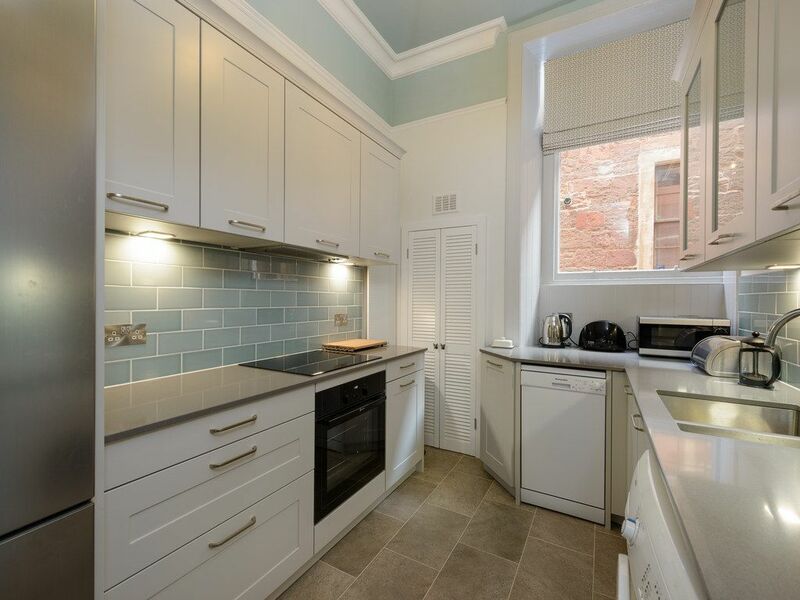 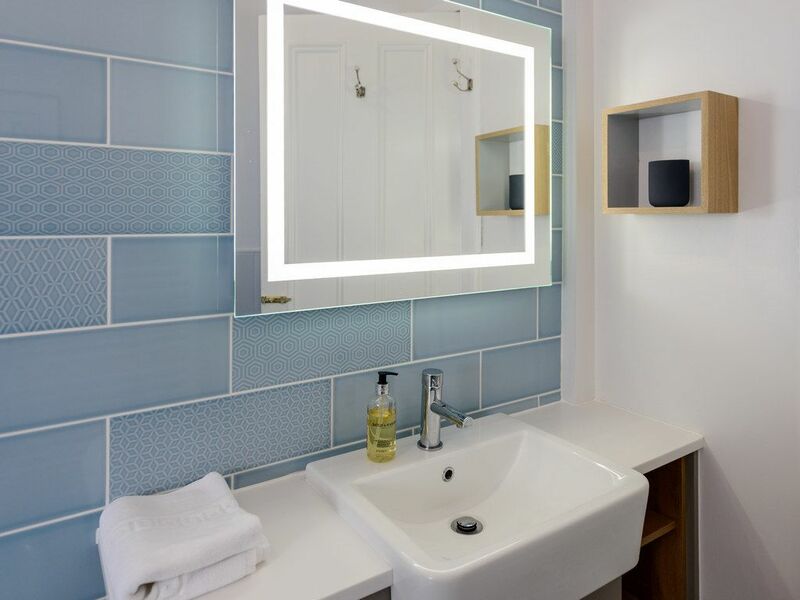 The kitchen is modern and fully fitted with all that's needed for an easy self-catering break including cooker/hob, dishwasher, fridge/freezer, microwave and washing machine. 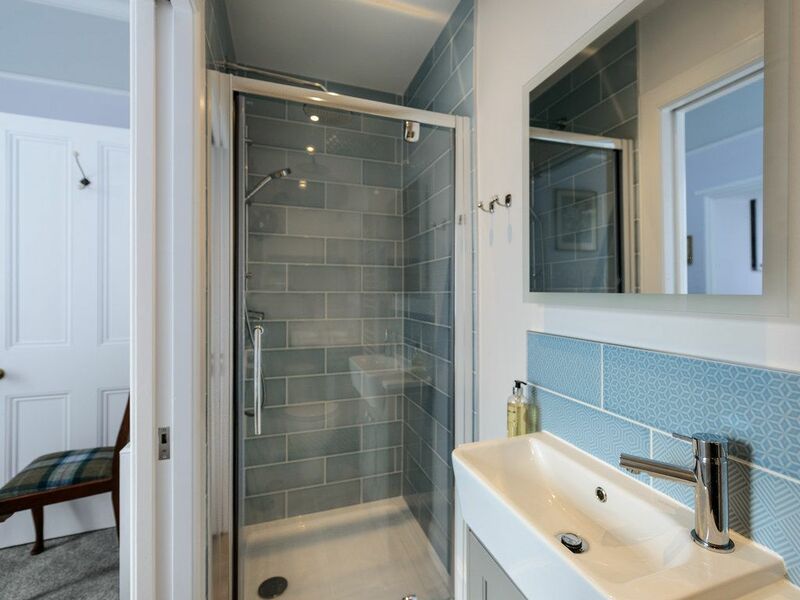 The bathroom has a fully fitted white 3-piece suite with shower over the bath. 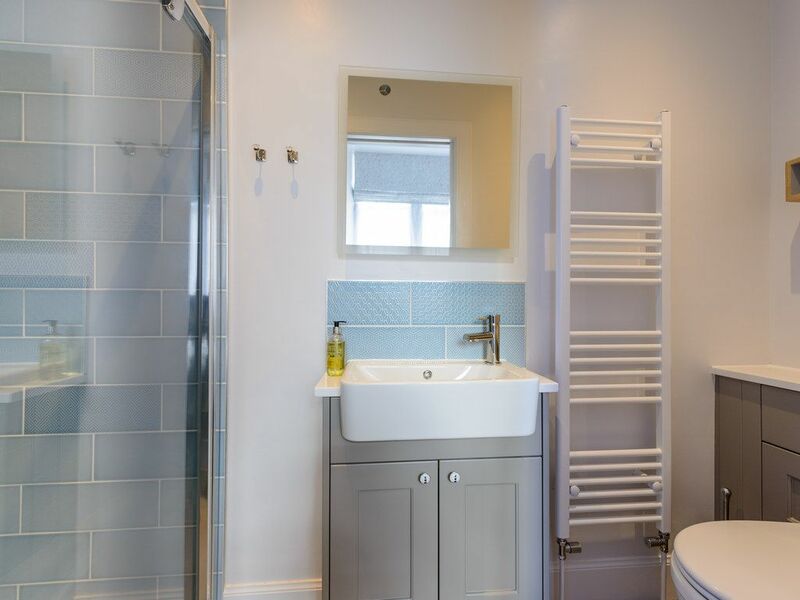 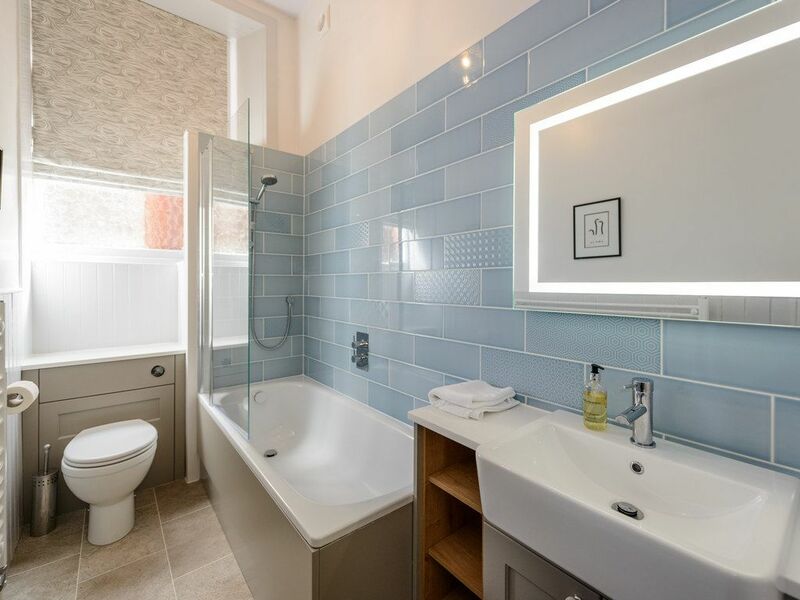 The ensuite has a fully fitted shower enclosure, WC and wash hand basin. 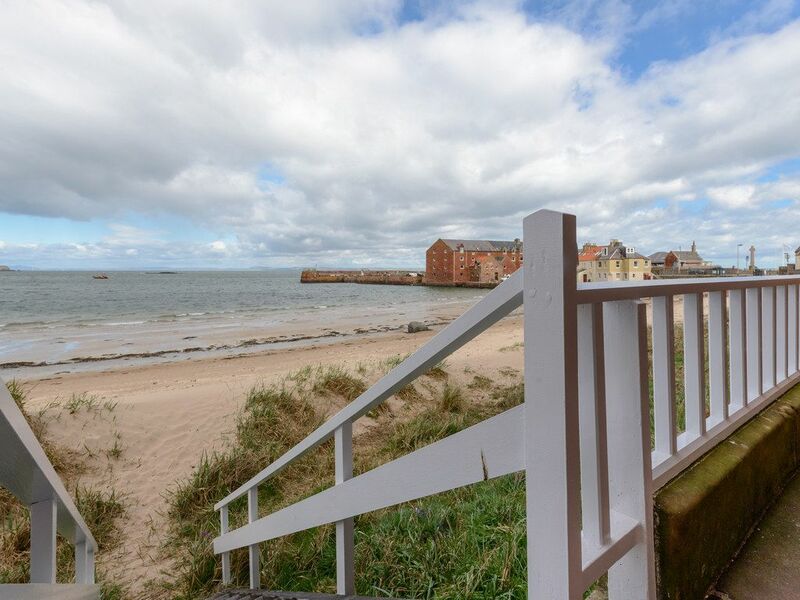 Seafield has unlimited Wi-Fi and importantly also has its own parking space. 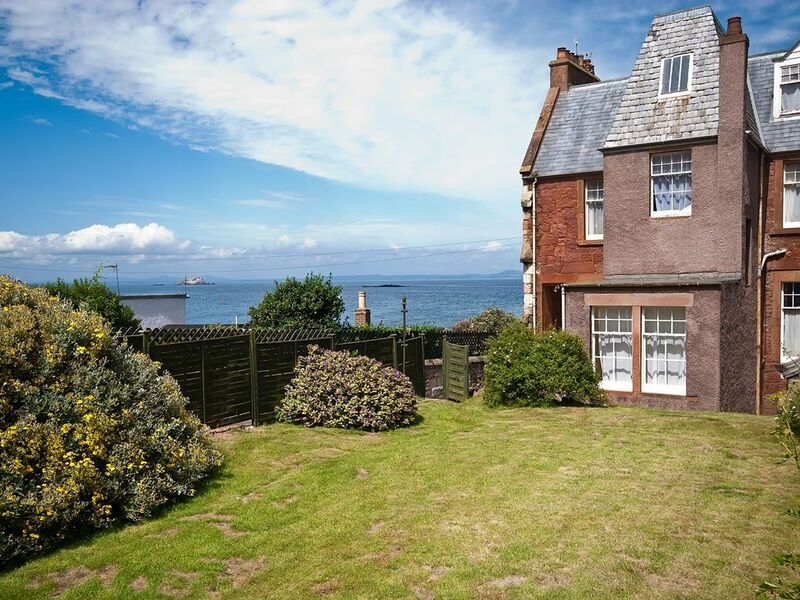 The Seafield parking bay is clearly marked as the parking area is shared with the upstairs neighbour.